Netflix has no chill in its attempt to lure some big creative fish, and its latest catch is Ryan Murphy, the power producer behind hits like "Glee" and the "American Horror Story" franchise. The streaming giant made the announcement late Tuesday night. Under the multi-year overall deal, Murphy will produce new series and films exclusively for the service. The agreement officially goes into effect this summer. Murphy is currently under an overall deal at 20th Century Fox TV, with which he's produced popular limited series like the "The People v O.J. Simpson: American Crime Story" and "Feud." The New York Times reports the deal is worth up to $300 million. 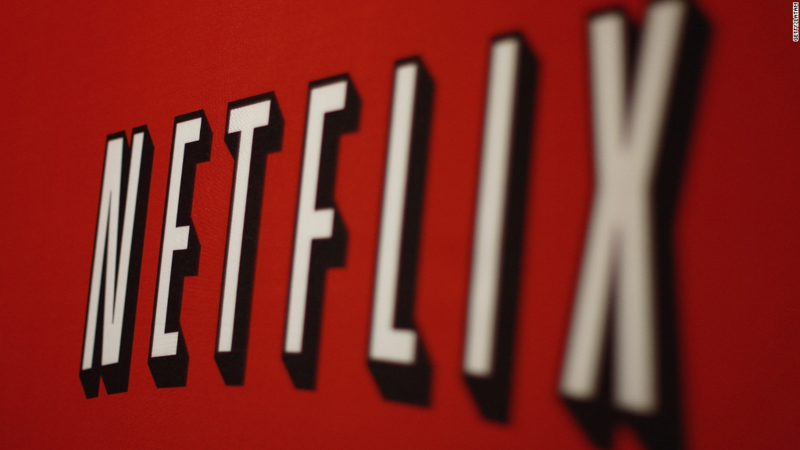 A Netflix representative told CNNMoney they're not commenting on specific figures. "Ryan Murphy's series have influenced the global cultural zeitgeist, reinvented genres and changed the course of television history," Ted Sarandos, chief content officer at Netflix, said in a statement. "His unfaltering dedication to excellence and to give voice to the underrepresented, to showcase a unique perspective or just to shock the hell out of us, permeates his genre-shattering work." Murphy is the second major content creator to make the jump to Netflix in recent months. Shonda Rhimes inked a deal with Netflix back in August, leaving her home at ABC where she was responsible for, essentially, an entire night of programming for the network with #TGIT, a block that consisted of her flagship series "Grey's Anatomy," "Scandal," and "How to Get Away with Murder." Netflix also entered into a multi-year deal with "Orange Is the New Black" creator Jenji Kohan late last year. Back in January, Murphy was pressed by reporters about his relationship with his current studio as Disney seeks approval to absorb most of Fox's assets. Murphy, who received calls from both the Murdochs and Disney CEO Bob Iger in light of the merger news, said he initially expressed his concern that his edgy brand of content may not have a home at the new Fox. "I'm sort of interested to see what that company is going to look like before I make any decision abut where I'm going to go," Murphy said. Regarding his new deal, Murphy said in a statement he plans to "continue to champion women, minorities and LGBTQ heroes and heroines." "The history of this moment is not lost on me," said Murphy. "I am a gay kid from Indiana who moved to Hollywood in 1989 with $55 dollars in savings in my pocket, so the fact that my dreams have crystallized and come true in such a major way is emotional and overwhelming to me." Netflix has previously announced two shows with Murphy, called "Ratched" and "The Politician." Those shows do not currently have a premiere date.